…And boy have I been enjoying! I promise to treat you better then I ever have before. To move you, and feed you nutritious food, (and not deny you a treat now and then). I promise to love and respect you, and be proud of you. While I was having my week (or more) of excess, indulgence and general unhealthiness, I did actually try to do some healthy options. I made my chicken basil cashew nut dish, as well as my choc fudge balls. This time, I made them, even better – the best yet!! How? Why, with the addition of some superfoods. 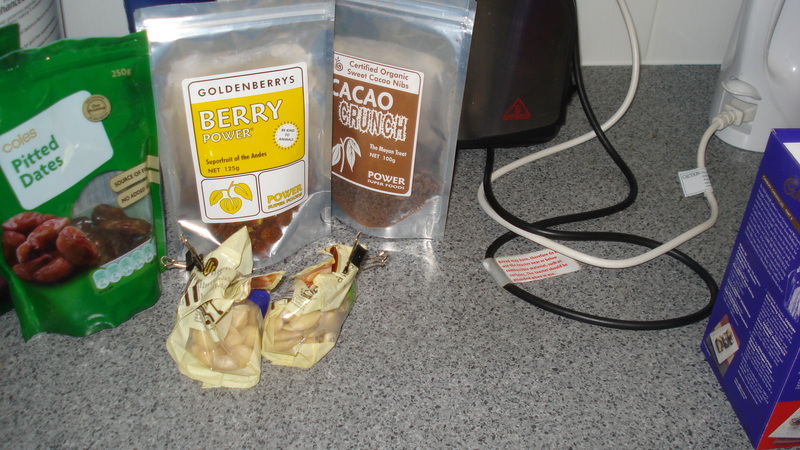 Now I LOVE superfoods – I buy Acai berry power powder and chia seeds from Power Superfoods, and recently was given their Cacao Crunch nibs and Goldenberrys to try. They’re certified Organic, and you can have a look at their site here. So many good things that you hear of and can be hard to find – Maqui berry powder, goji berries, Coconut palm sugar, wakame seafood. The list goes on and you can but it all from their site, plus they’re better at explaining the nutrition than I am, so check it out just for that! 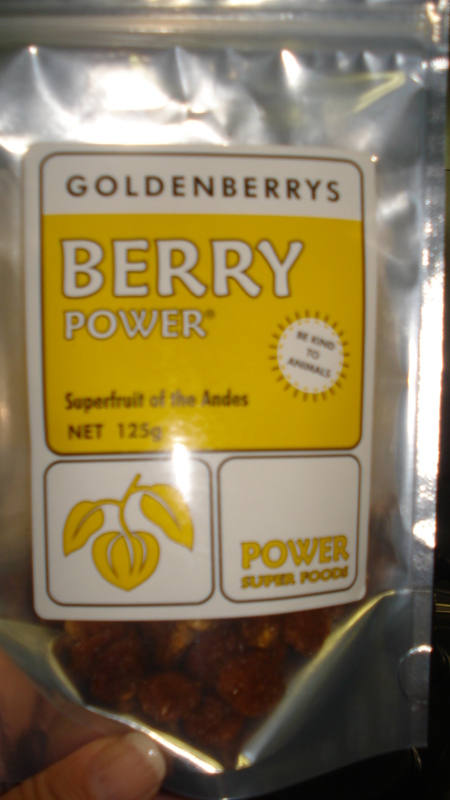 I hadn’t ever tried – or to be honest heard of Goldenberries before, but am happy to report they’re ah-mazing. They’re deliciously tangy, which I absolutely love. Especially so in baking or making sweets, gives that tang that prevents them from being oversweet. 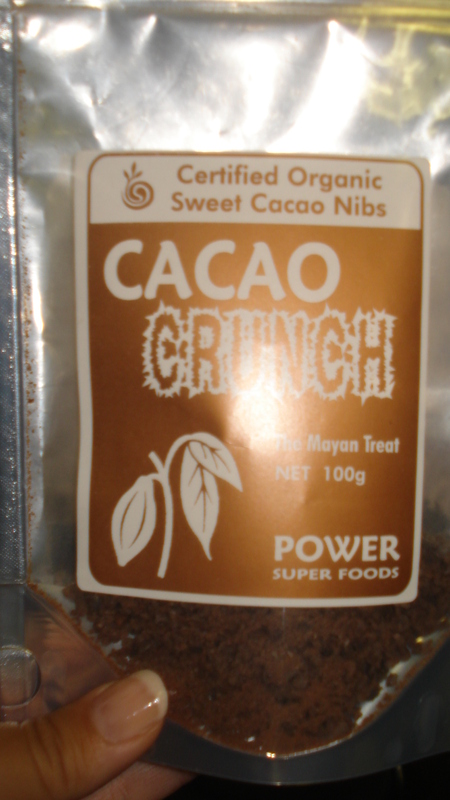 I added these, as well as the Cacao nibs to my choc fudge balls and they’re a MUST now. I was happy to see they went down a treat with guests, and will definitely whizz these up again when entertaining friends and maintaining a healthy diet (in fact I already have made up some more since). The balls are a great for entertaining, serve up and enjoy a dessert and know you can participate and not feel guilty or think you’ve blown out that day. Gives your guests some nutritional benefits too. I don’t know the exact amount I added of these, about 3 heaped tablespoons, but I just poured from the pack. The balls can be really sweet, and the addition of these in particular give the flavour a bit of complexity. I very much recommend. 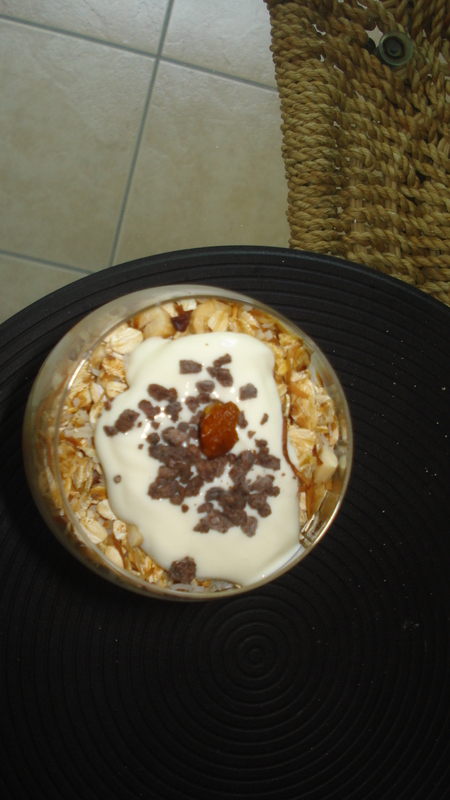 I also added the goldenberries to my breakfast yoghurt parfaits (more on them later) I’ve been having lately and to my trail mix. If you’re not into sour or tangy then these Aren’t for you as they’re not a super sweet berry, but I do recommend adding them to sweets you may be having to add some zing! Cacao nibs are awesome too. If you’re expecting super sweet chocolate, again, these are not going to give you that. But, as the pack says, if you’re going to eat chocolate anyway, give these a go. They’re chocolaty-coffee crunchy and great! I mixed these into the fudge balls and as well as flavour they gave a good crunch element. Again, something I’ll definitely be adding into the mix from now. I also used these in my hot chocolate, on top, and added them to the parfaits I’ve been having, and even topped a bowl of cornflakes with them ( I know, weird craving I had, I never have Cornflakes but I NEEDED them and no I’m not pregnant). I also soaked some chia seeds and added them to the balls, but I think I’ll skip that step from now. 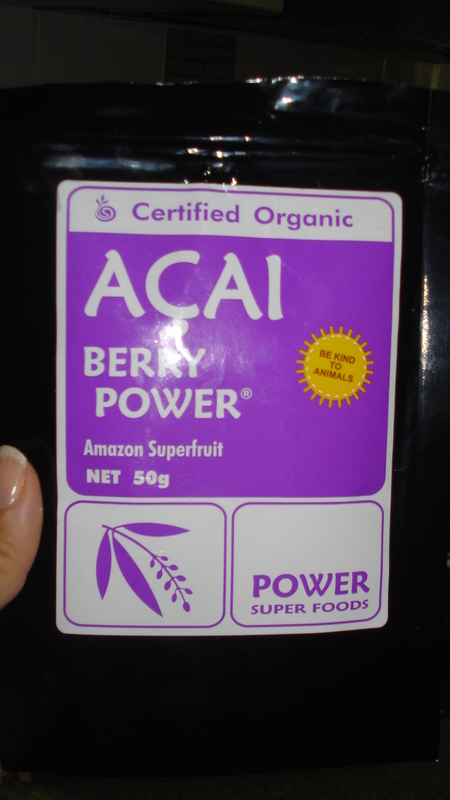 Just went a bit Superfood happy. It messed with the texture and consistency, maybe because I soaked them before rather then just adding in, but the balls weren’t ‘setting’ and I ended up freezing that batch and making a new one without – much better. But Chia seeds in general. I love, and use everyday. So many uses, Chia puddings, smoothies, and just adding them for bulk. Below are some pics for making up the balls, and even my cornflakes with cacao nibs, which by the way was such a yummy breakfast! 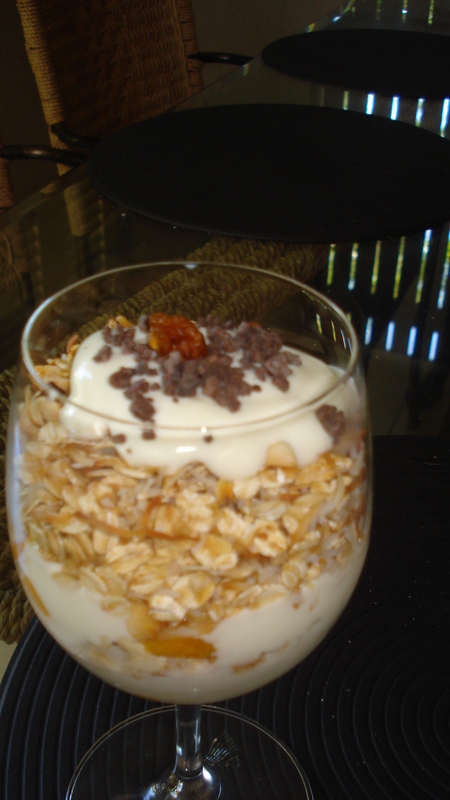 There’s even a pic of my cornflakes with cacao nibs, haha. Couldn’t be easier. Just toast some oats, nuts – I used raw almonds and shredded coconut in the oven or under the grill, with some honey or agave syrup, about a teaspoon of is enough. It’s important to keep a close eye on it, as it BURNS real quick! Then mix Cacao nibs after toasting, once the mix had cooled a little. Then layer some fruit – I’ve been loving peaches, but berries are great too, and I can’t wait until Mango season, or any other Summer fruits, a tropical version with pawpaw, lychees – YUM <3. Anyways, layer the fruit of choice, then add yoghurt, I like plain greek, then the oat mix and layer again. So yum, I feel like I am having a dessert for brekkie and look forward to it each morning. The mix of nuts, oats, cacao, chia, fruit and yoghurt works so well and keeps me sustained right through to lunch, no problems, even on weekends when I work out in between breakfast and lunch. Do yourself and favour and try this for breakfast, you’ll feel like you’re having a real treat.